By choosing to work with 12-foot rolls, the new roof has fewer total seams and the number of rolls the crew had to handle was lower. By design, there will be a higher wind uplift rating and less fluttering. The roof is also ENERGY STAR® rated. Great Lakes selected the RhinoPlate system which allowed them to avoid the use of adhesives known to cause odors. “With the EPDM R FIT system, I’ll be able to keep more crews working during winter months even at our high altitude in low temperatures. We’ve always worked year-round but this JM new system lets us work more efficiently. It’s a win-win all around,” said Bob Bellitt, President, Arapahoe Roofing & Sheet Metal, Inc. The Lebanon Correctional Institution required a new roof. While the Ohio Facilities Construction Commission (OFCC) obtained multiple bids, there are many contractors that simply won’t pursue working on prison projects. Enter the experienced professionals from Kalkreuth Roofing and Sheet Metal and Johns Manville. At nearly 350,000 square-feet, the sheer size of the roof presented its own challenge, but the fact that the work was being done at a prison added an entirely new list of trials. 25 years after construction, Orlando’s City Hall roof needed to be evaluated for replacement or restoration. Through extensive research, including moisture survey testing, it was determined that restoring the existing roof was the most efficient approach for this seven-level, nine-story downtown showcase. The former Bethlehem Steel manufacturing site at Tradepoint St. John’s is getting new life in a modern building as a distribution center for a clothing manufacturer. Proximity to rail, land and water makes this location ideal for global companies to expedite both their shipping and receiving operations. DYWIDAG-Systems International (DSI) USA Inc. is part of the DSI International Group. The scope of work at DSI is the development and application of post-tensioning and geotechnical systems for the construction industry. DSI systems and products are used in the repair, rehabilitation and construction of commercial and private buildings, bridges, tanks and other engineering structures above and below ground. Supreme Roofing installs multiple roof systems for Southern Methodist University. Effective application in cold weather keeps the project on schedule. The Ridgeworth Roofing team worked with Johns Manville Roofing Systems, Denver, to create long-term solutions that reduced the project cost and lengthened the term of the no-dollar-limit warranty provided with the new roof system. Advanced Roofing, Inc., wins silver QARC Case-Study Award. The old three-tab shingles on the De Portola Middle School roof were deteriorating and dislodging. The transition point of the asphalt shingles to a low-slope, built-up roof was weakening and leaks were starting to occur. Fitting of its "Inland Empire" location, Perris Logistics Center is a huge structure; with a roof of over 1.2 million square feet. Kodiak Union Roofing Services has many projects to be proud of. We are honored to have our JM 60 mil PVC “KEE” membrane used for the new arena in Sacramento. View the entire gallery by clicking here. JM’s technical support and expertise was an important aspect of this project and led to the best solution and cost for this re-roof. JM Peak Advantage® Pinnacle Contractor Baker Roofing Company wins Commercial Roofing Contractor of the Year. 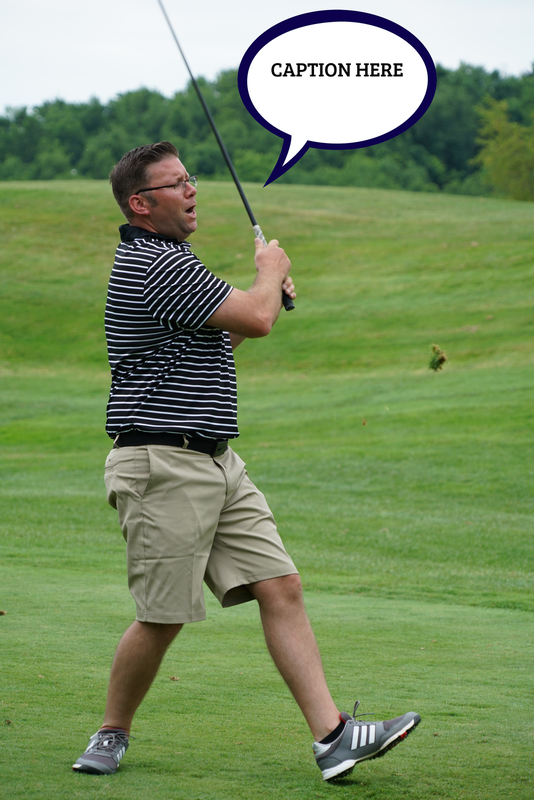 Andy Berwald of Berwald Roofing wins the June caption contest. Congratulations to Andy Berwald. See his winning caption on the picture of JM Tech Rep Mick Schorsch below. Andy represents Berwald Roofing in Saint Paul, MN. 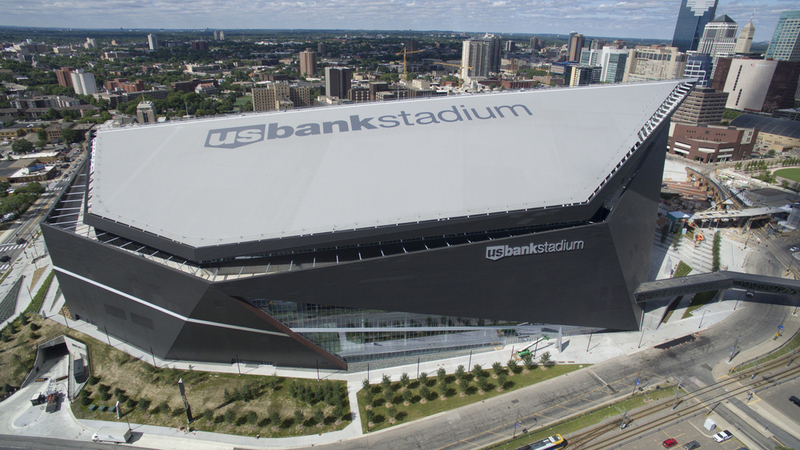 Most recently, Berwald installed the roof on U.S. Bank Stadium (pic below). Jeff Piazza, Division Manager - Kalkreuth Roofing & Sheet Metal Inc.
Jeff just pounded a ball right down the fairway...or did he? JM Tech Rep Mick Schorsch ponders his work during a JM PVC demonstration in Rockdale, IL. JM PVC installed by Berwald Roofing Company, Inc. .
Top contractors speak out on JM TPO. 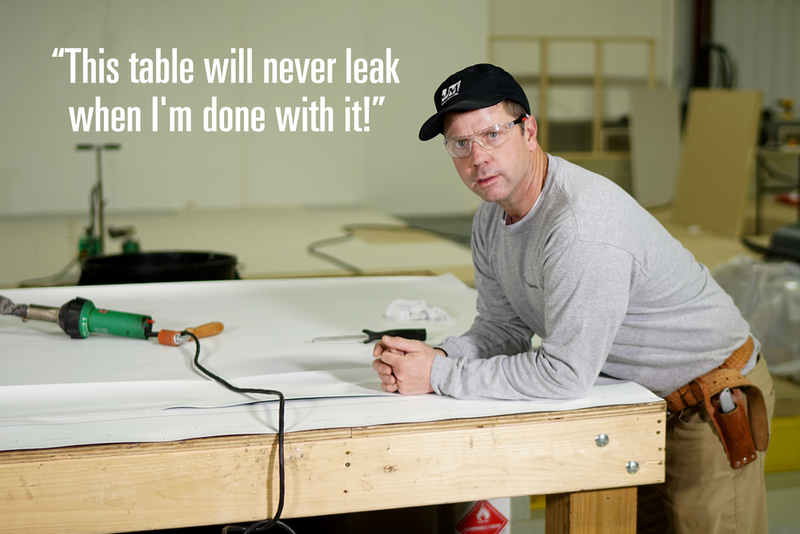 We interviewed some of America's top contractors to get their take on working with JM TPO. Play the video to see what we found.